The artwork created for “From Russia With Love” is my favourite. It does set the tone for all other Bond Chopping covers to come and is highly recognizable. It conveys the content and feel of the book so well while staying away from the usual book cover clichés. And the technical execution is flawless, the wood structure in the background is just wonderful. I’m lucky to have several first editions in my collection, such as the first UK edition of “Moonraker” and “From Russia With Love“. Sadly I had didn’t have enough money for the first edition of “Casino Royale” so I settled for the first edition, second printing at a Bloomsbury auction a few years back. I also like the first editions from the US hardcover versions such as “Dr No” and “Casino Royale” quite a bit. My rarest piece might be the embossed edition of “The Man With The Golden Gun“. I bought it on eBay a few years back and I’m not sure it it’s the real thing but most experts told me it’s real. “Colonel Sun”, Robert Markham (Kingsley Amis), Paperback from Japan. 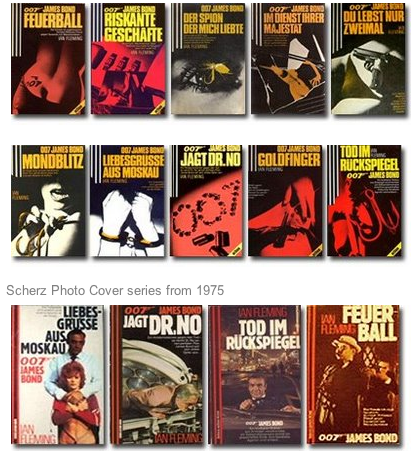 My first Bond novel was the Christopher Wood version of “The Spy Who Loved Me” in German which I read after seeing the film in 1977. I didn’t even know that this was not the original book but I got interested. At the age of 10 you don’t have a lot of money so I searched the flea markets for more bond books. 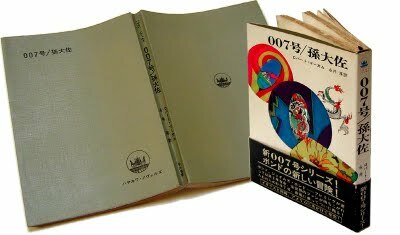 I’m a bit hazy which the next book was but I think it was “On Her Majesty’s Secret Service” , the paperback edition by Scherz Publishers. 5. 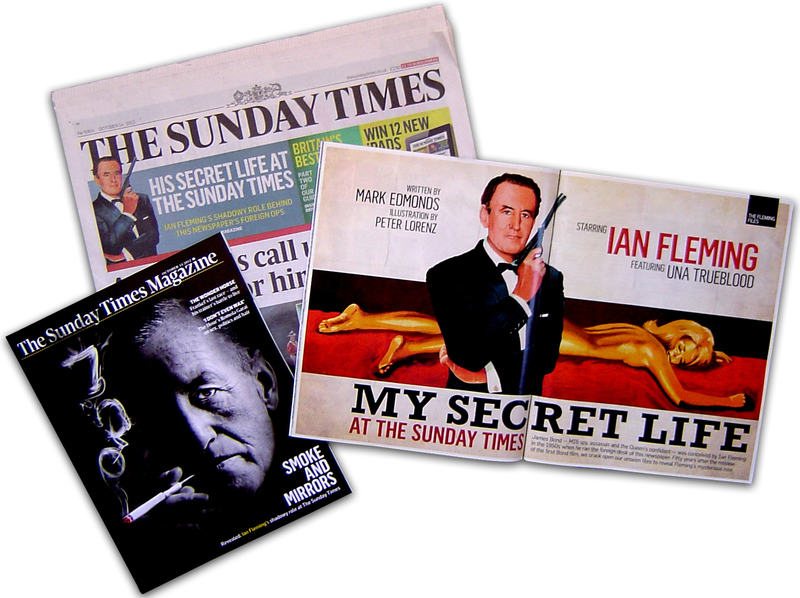 What is your favourite Fleming Bond novel and Fleming non-fiction work? My favourite is “On Her Majesty’s Secret Service” . I might be influenced by the film as well but the novel makes Bond a human, believable person, even more than the other books. On the non-fiction side I enjoy the “Thrilling Cities“. It’s such an interesting insight into Fleming himself and a time gone by. I’ve lived and visited a few of the cities that Fleming describes and the change is sometimes remarkable. 6. 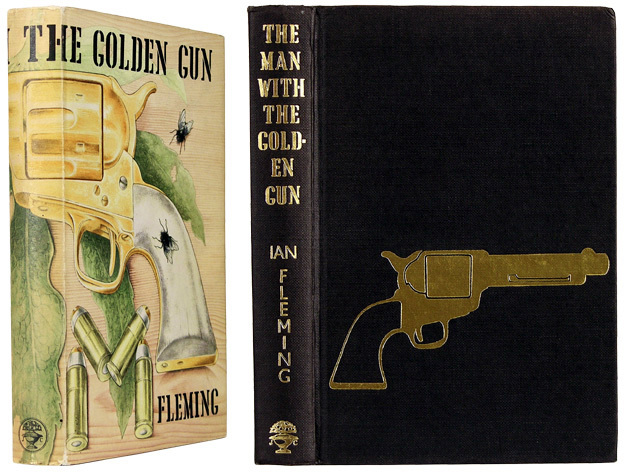 Do you have any favorite Bond dust jackets in paperback or by continuation authors? That’s a tough one: Several! I do like the Fahey covers for their beautiful retro pulp style. 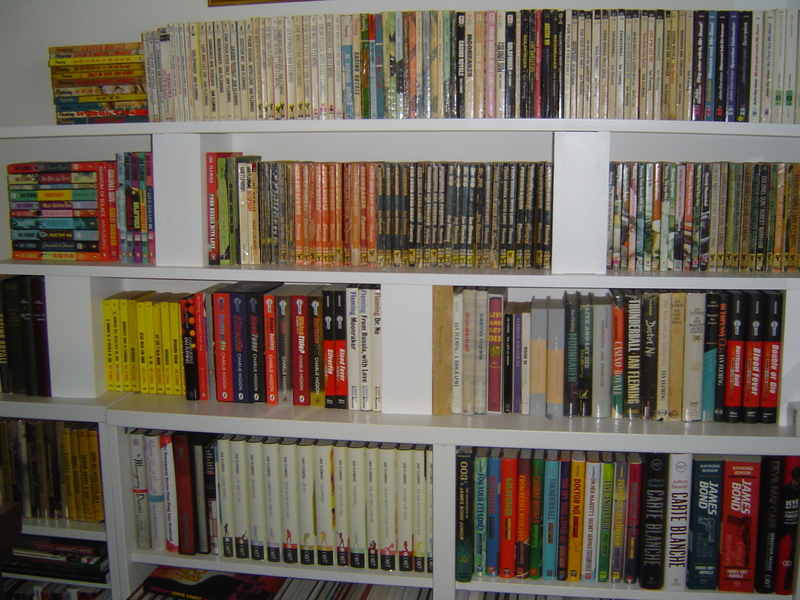 Same goes for the first Swedish editions illustrated by Yrjö Edelman. I quite like the first Gardner hardcover ones as well. 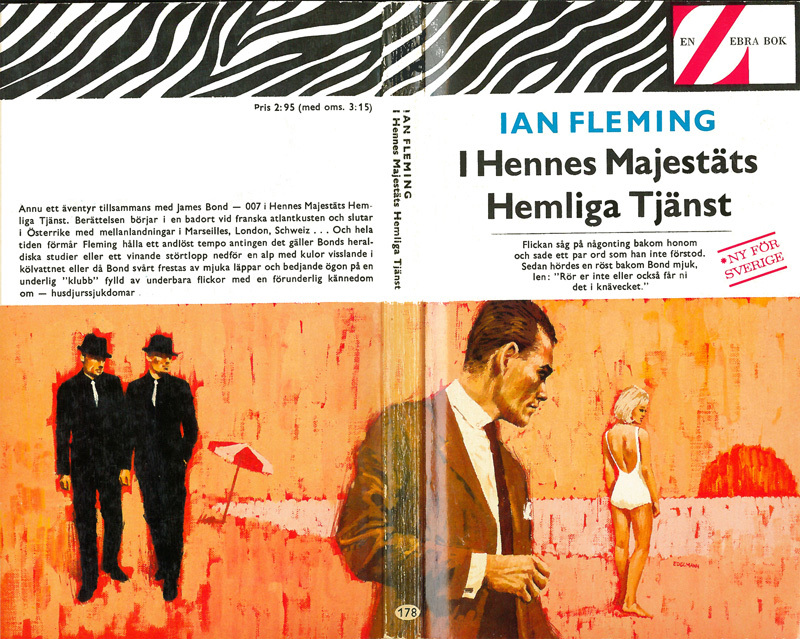 “I Hennes Majestäts Hemliga Tjänst” (On Her Majesty’s Secret Service), Albert Bonniers Förlag, 1965, Artwork by Yrjö Edelman. 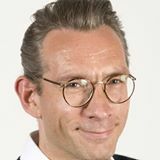 Peter is a long time Bond collector, specialising in books and artwork. November 2, 2013 in Field Reports.